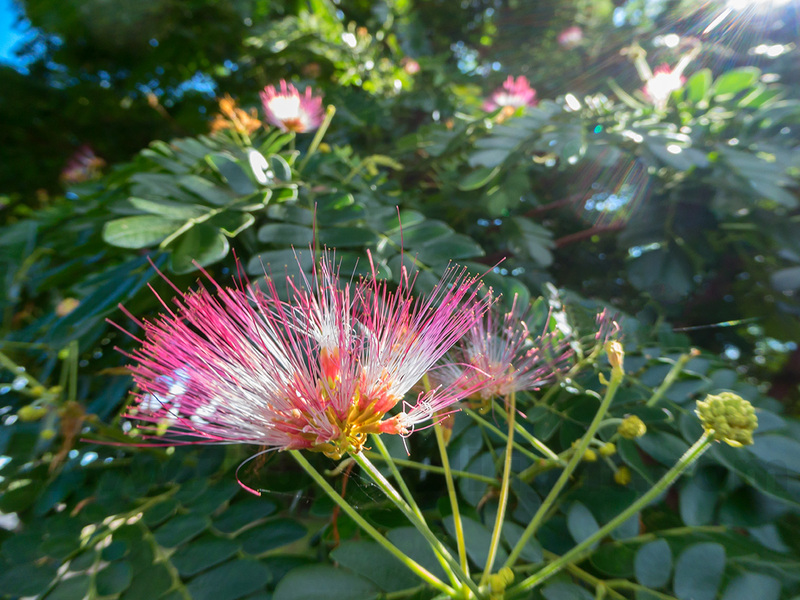 The Monkeypod tree produces large, ugly, very, very messy seed pods every spring. So how is it that their flowers are so delicate and pretty? 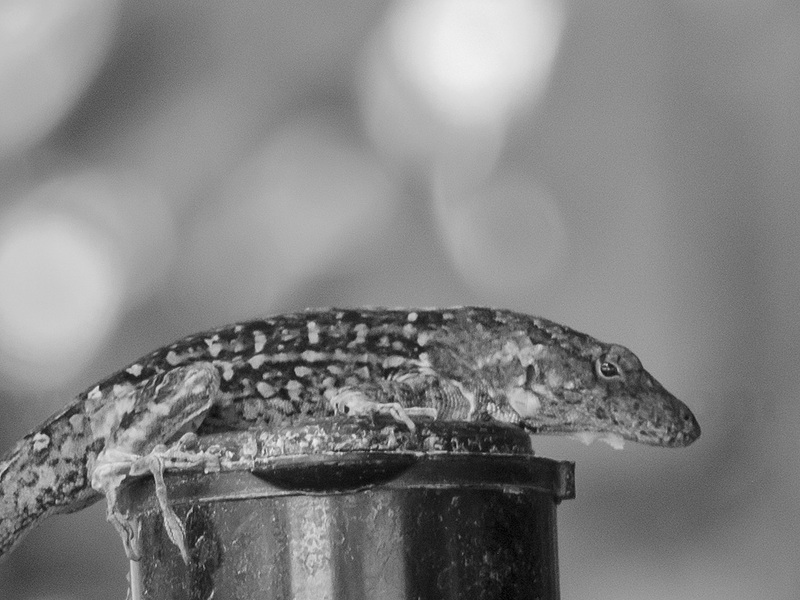 On the other hand, this Anole wasn't looking very pretty at all.